Jeff attended the University of Wisconsin – Oshkosh graduating in 1979 after a three-year stint in the United States Army. 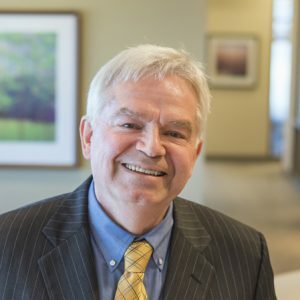 His public accounting career began in 1980 with a local CPA firm in Reedsburg, Wisconsin where he gained extensive small business, tax and accounting experience. Jeff obtained his CPA certificate in 1983 and joined Meicher CPAs, LLP in 1985. Jeff earned certification as a Certified Financial Planner in 1988 and became a firm partner in 1990. Jeff has helped Meicher CPAs gain experience with a variety of small business accounting software packages. Jeff is a Certified Quickbooks Professional Advisor. Jeff is currently a member of the American Institute of Certified Public Accountants, Wisconsin Institute of Certified Public Accountants, and the Information Technology and Personal Financial Planning sections of the AICPA. Areas of Specialized Knowledge: Small business consulting, individual income taxation, corporate and partnership income taxation, accounting software and computer technology, and auditing. Favorite Outside Activities: Member of church council and choir, spending time with his family, and membership in the Madison Downtown Optimist Club.